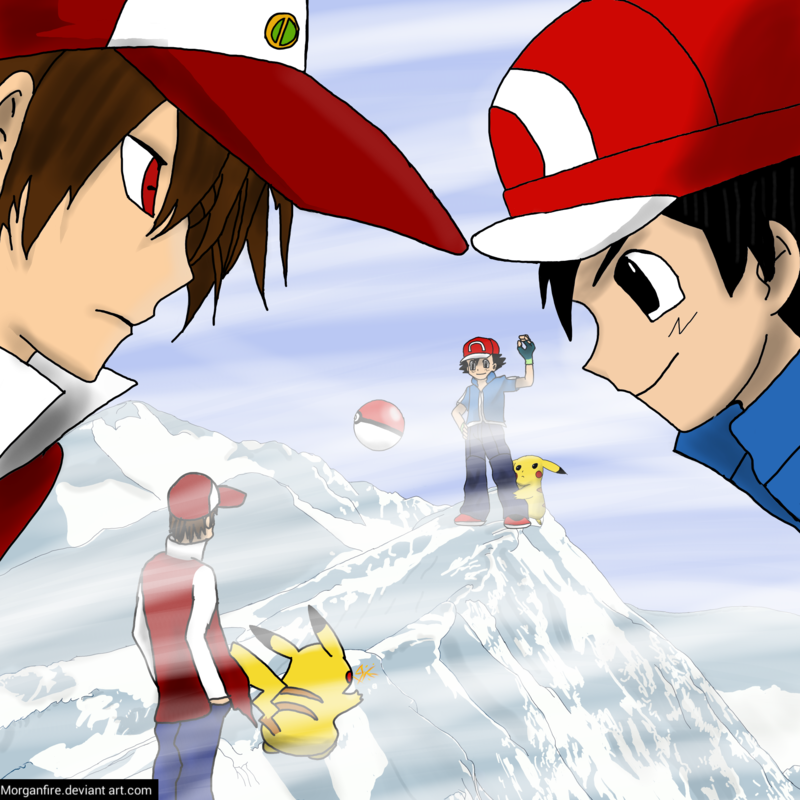 Red vs Ash. my best fanart. 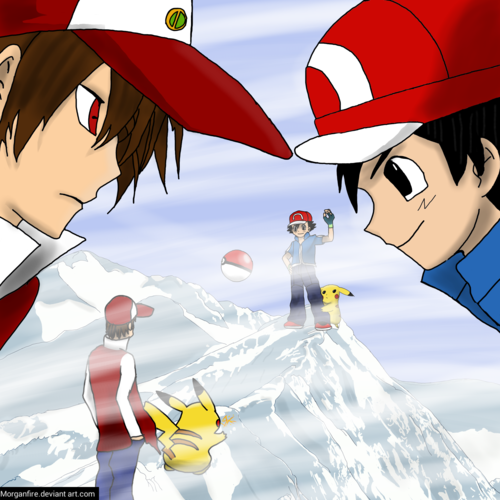 HD Wallpaper and background images in the Pokémon club tagged: photo. This Pokémon photo might contain parasol and zonnescherm.